This June marks 5 years of living in our first purchased home, on Honeysuckle Ave. When we bought out first house, we thought it was amazing! Perfect, even. Now….not so much. After 5 years you see all the problems that you thought were easy fixes when you first walked through the bank-owned house with the Realtor. And you realize they were not easy fixes and they cost alot of time and money to make “right”! Like our floors. Five years after ripping out the horrid beige shag carpet that had black trails of footprints on it…well, we still have concrete floors in much of our house. And it is not a fashion statement–it is because we could not decide on a floor type and color and price tag to this day. put in a washer and dryer…twice…DOH! Will you join us? I am sure you have a million little projects to get done around your house, in your crafty life, or just in general. And they don't have to be big monstrous overwhelming tasks that cost alot of money. Just get something done, every day. Here is the list of tasks I would love to see tackled. We have the supplies for many of them and others will costs us $1000s and probably won't get done at all. But, having the list and crossing things off, one day at a time, well…that is going to give us some serious satisfaction! Fix House Number Sign – it just fell off one night, broken?! Clean dead spider guts off the scrap room ceiling–I killed that spider 4 years ago! Sew covers for top of washer and dryer until get counter top –still not sure we are doign countertop or not…. 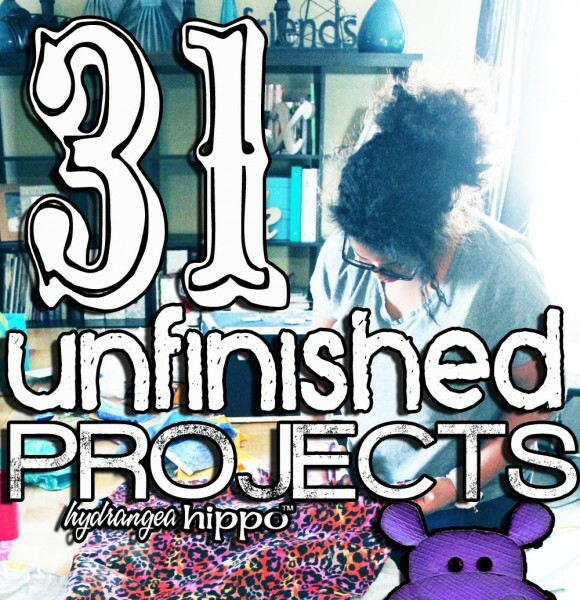 So I hope you will join me as we complete 31 unfinished tasks in 31 days. Each Friday I will post the projects from that week that we've finished. You'll be invited to leave a comment to win a prize each week, sharing anything you've finished or anything you hope to finish. Together, we'll get ‘er done!